Hailing from a line of greats such as King of Fighters and Fatal Fury, SNK Heroines had big shoes to fill. As one of the most lighthearted entries in the company’s history, Heroines deviates rather strongly from the norm of SNK’s previous fighters, with all the good and bad that comes along with it. The story is about what you’d expect from most fighting games, simple and exaggerated. Luckily, that’s just how I like my storylines. The lovely ladies from SNK’s titles have been transported to a strange realm where a hooded man (whom you may remember from a previous KoF title) has forced the women to fight each other in an attempt to be released from his grasp. Overall, the plot fits the bill for what it’s worth, and gives at least some idea of motivation as to why you’d be pounding all the other characters into the dirt. 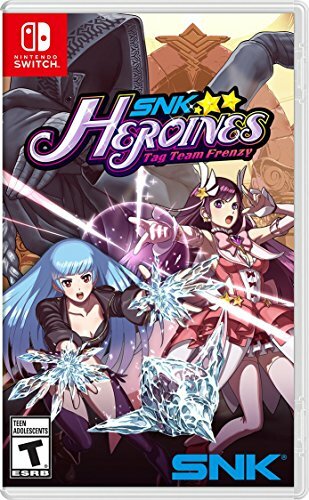 My first issue with SNK Heroines arises from the length of the story, which is surprisingly short, even for a fighting game. Before beginning, the player can choose two fighters to progress the story with. The story for each character remains largely the same, only changing around 10 or so lines by my count. The different dynamics between each of the fighters that make up your tag team can be interesting, but are often much too short to get a sense of character or any actual value out of. The only other story reason I could imagine being worth subsequent playthroughs would be individual character endings. As the credits roll, a short chibi animation of the two fighters showcase the aftermath of the “tournament.” Unfortunately, the charm of these endings doesn’t do much to help you forget the fact that an entire playthrough of the story mode takes about 15-20 minutes. Despite the alternate dialogue and endings, I find it hard to want to go back and play the exact same fights over and over. 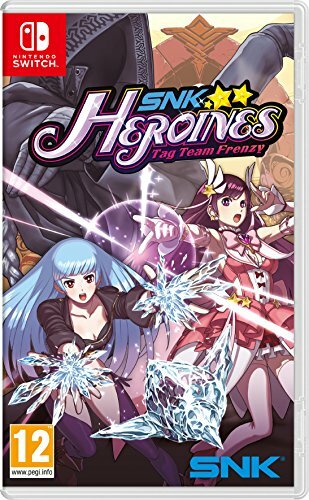 As a fighting game, SNK Heroines has decent enough gameplay. As an SNK game, you can expect fairly polished mechanics, and Heroines is no exception. However, for my personal tastes it may lean on the side of too simple. Though there are 14 different playable characters, all of their basic attacks and combos are essentially identical. The only area where fighting styles differ is each of the character’s four separate power moves. These can range anywhere from moves that knock upward, knock down, shoot projectiles, etc. Beyond this, items can be picked up during play and used by your tag partner to attack the opponent. Items range from sand that will immobilize the enemy, or bombs. These items are actually very effective, and can completely change the tide of battle if used at the correct times. If more of the creativity of these moves bled into the fighting styles, each character would feel as if they actually play differently. Unfortunately, character choice seems to be of a cosmetic choice than anything. Luckily, cosmetics and charm are Heroines’ main draw. Every fighter’s outfits, voices, and animations are varied and give a wonderful aesthetic distinction between each of them. Beyond the basic forms as well come unlockable outfits and accessories to spice up your favorite girls. These can be unlocked with coins that are earned from playing matches and completing the story mode. The amount of unlockable accessories and costumes is actually quite impressive, and as a self-diagnosed anime girl lover, I appreciate the ability to customize my fighters. The charm of SNK is clearly there as well, bringing beautiful backgrounds and a fitting OST to frame your battles. In fact, so much of SNK is attractive and charming, that it almost pains me to say that I ultimately didn’t enjoy it. Charm will only lift a game so far, and an abundant lack content and a simplistic fighting system hold me back from wanting to return to SNK Heroines. I don’t think I could even get much of a kick out of playing locally with friends, after a few rounds you’ve seen pretty much all there is to be seen. 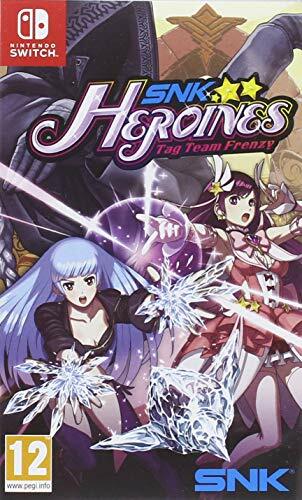 Nearly matching a full priced game, it’s hard to recommend Heroines when there are better fighting games on the market for the same price or less. If you’re playing for the cute girls and jiggle physics, then you might find something to stick around for. Otherwise, you’re better off playing King of Fighters. SNK Heroines oozes charm, but lacks the mechanics and content to make the price tag feel even remotely worth it.